Well, we thought Venom would be R-rated. It certainly looked R-rated and the way it's been talked about has suggested a darker, more aggressively violent film than we're used to from a Marvel property, but Sony has other plans. They have a Spider-Man cinematic universe to build, and they feel the best way to do that is by softing Venom's edges to appeal to a wider audience. 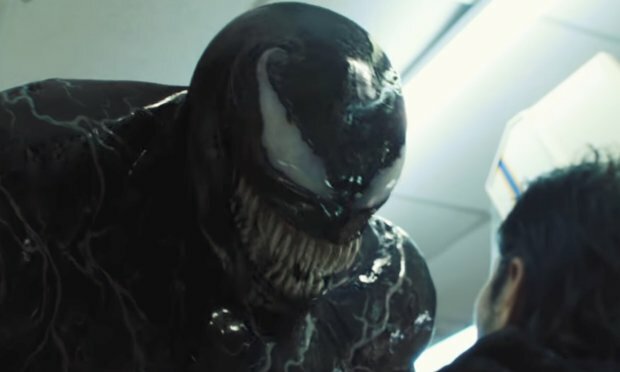 According to Variety, Sony is working to make Venom a PG-13 experience when it opens this October. Well, that's disappointing. Apparently missing what Logan and two Deadpool films were able to accomplish, Sony feels an R-rating will limit the potential box office too greatly. The second reason also has to do with money, but from a different angle. Sony and Marvel are pretty tight right now, with their partnership leading Tom Holland to star in Spider-Man: Homecoming as part of the Marvel Cinematic Universe. Holland isn't slated to appear in Venom or any of Sony's flicks right now, but they hope that will change in the future. Sony feels if that's going to happen then they can't start things off by having Venom rated 'R'. Sony also hopes to see greater crossover between their characters and the MCU, especially as they branch out to more Spidery-Verse spinoffs. How does this affect your interest in Venom? Will you still be there to see it on October 5th?